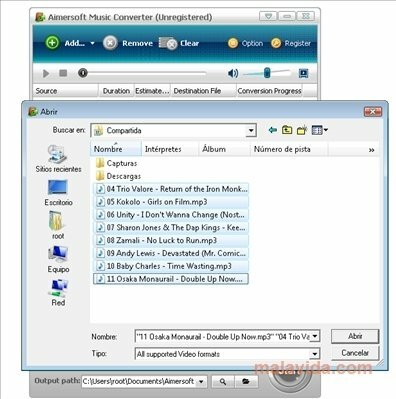 Aimersoft Music Converter, also known as DRM Music Converter, is a program that has been designed to convert files that have DRM (Digital Rights Management) protection, very common in the music albums that can be bought over Internet. The vast majority of files that have protection are usually distributed in M4V, M4A, WMV or ASF formats, that aren't compatible with the vast majority of portable players on the market, as well not allowing you to convert them unless you have the proper application. 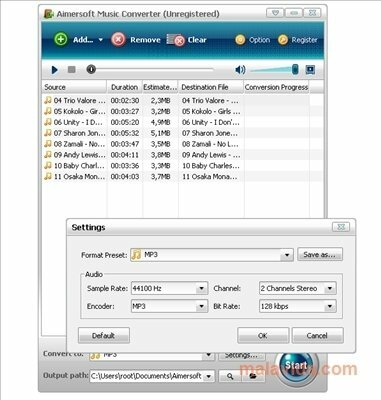 This tool is compatible with WMA, M4A, M4B, AAC, AC3, WAV, MP3, WMV, M4V and ASF, has a very simple interface and allow the user to modify the features of any audio track (channels, bit depth, sample rate,...). 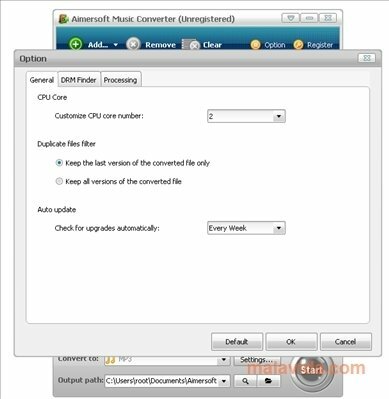 Discover a great tool with which to be able to eliminate the DRM protection that many online sales services include in the songs that they sell, thanks to Aimersoft Music Converter. The trial version only allows you to convert one minute of each audio file.